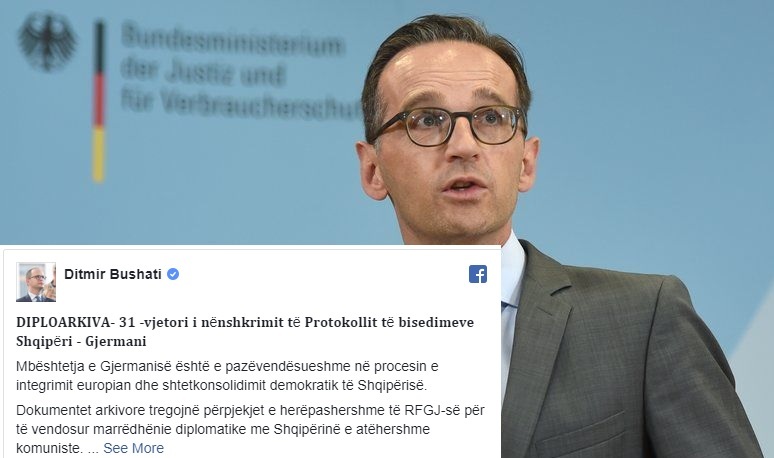 German Foreign Minister Heiko Maas will visit Albania on Wednesday. The news was made public by the Albanian Foreign Minister Ditmir Bushati through a post on social networks. He writes further that Albania celebrates the 31st anniversary of the signing of the protocol of talks between the two countries today. Among other things, Bushati has also posted documents showing the early relations between the two countries. Maas visits Albania at a time when the Western Balkans region is implicated in important developments such as the referendum in Macedonia or the debate on border correction between Kosovo and Serbia.